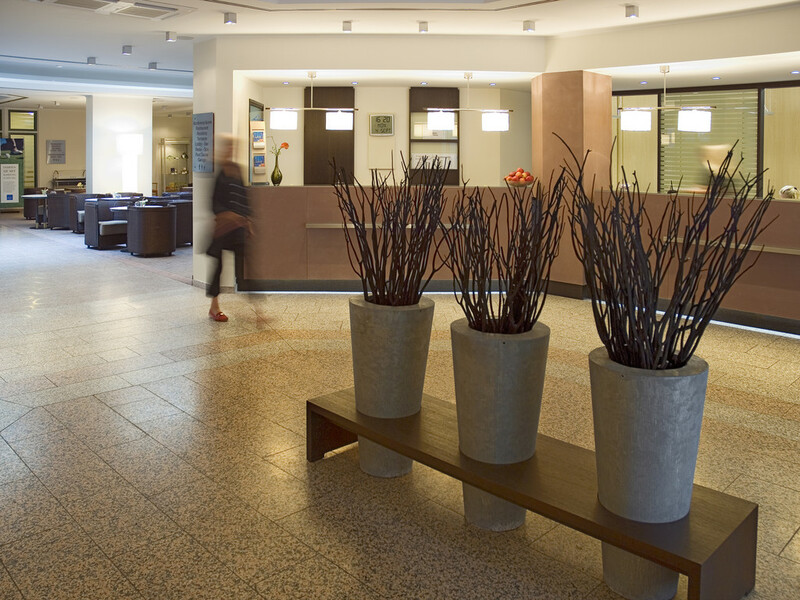 The 4-star Novotel Würzburg hotel is centrally located and within walking distance of the train station. Relax in a Standard Room with WIFI and tea and coffee making facilities or in an Executive Room with bathrobes, Nespresso and minibar included. After enjoying our extensive buffet breakfast, you can easily reach and explore the nearby old town. Use the attractive meeting area for business events. The rustic Frankenstube restaurant seats up to 55 people and serves both international specialties and local delicacies. You can taste our cooks' creations at lunchtime and in the evening. Diners are greeted by the classic and elegant ambiance of the Residenz restaurant, where we serve our extensive breakfast and business lunch. The bar at the NOVOTEL Würzburg is located in the air-conditioned lobby and is open from 6pm to 1am. We not only serve cold beers, fine wines and your favorite cocktails, but also hot and cold snacks.